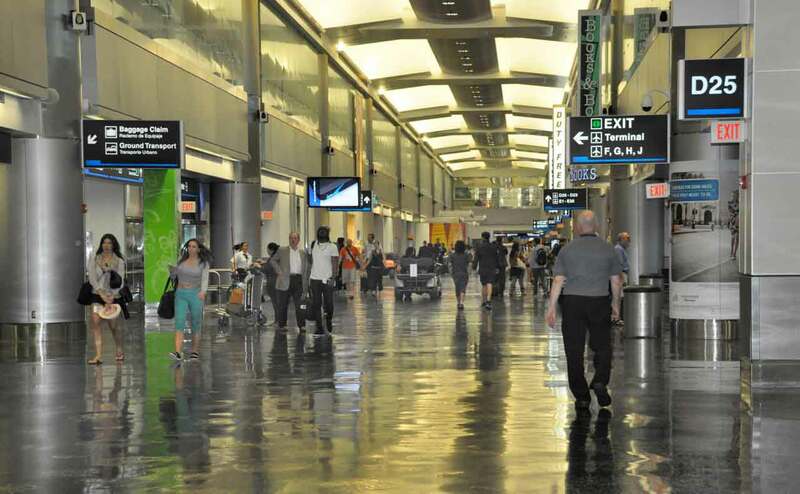 Domestic travelers have tipped the balance at Miami International Airport, which historically welcomed nearly equal numbers of US and foreign arrivals, and they’re paving the way for a record year. Travel to Miami from Latin American nations is slowing as many wrestle with down economies and a stronger dollar. Aviation Director Emilio T. González said numbers from all countries in the Western Hemisphere are down slightly. During a panel at the Air & Sea Cargo Americas meeting last week, he said the drop was apparent but not drastic. Latest numbers show the domestic-international gap widening. By September 2014, the difference for the year was minimal – about 600,000. This September, however, MIA had seen 17.28 million domestic passengers versus 15.9 million international. International passenger traffic is still up 5% from 2014, which was flat for international travel, said Greg Chin, airport spokesman. “International passengers this year [have] bounced back strong with 5% growth though, which is the highest rate of growth we’ve had since 2012,” he told Miami Today. But domestic traffic grew 10%, fueling an overall 8% gain over the year. As of early November, 36,607,797 persons have arrived or departed at MIA. Mr. González said the total may hit a record 44 million this year. Last year, nearly 3.2 million persons flew between Miami and New York City, our top market. Another 2.12 million flew to and from Brazil, our top international market. Atlanta, Dallas/Fort Worth, Los Angeles and Washington, DC, complete the domestic top five.